A burglar met his waterloo after he got locked in a vehicle he was trying to loot from in Lagos. 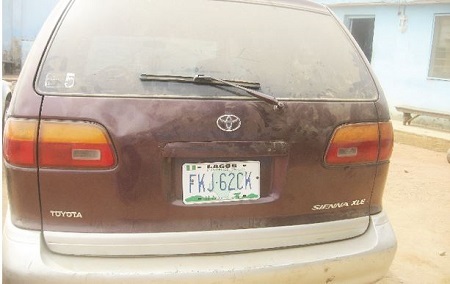 Detectives attached to the Federal Special Anti-Robbery Squad (FSRAS), Ikeja, Lagos State Police Command, have arrested a burglar, who mistakenly locked himself inside a victim’s car, according to the New Telegraph. The suspect, Jamiu Anisoro, used to burgle cars with an iron rod, sharpened and shaped into a key. He burgled a car on premises of Mainland Hotel, Oyingbo, Oto Railway Ebute-Metta and got trapped inside the car, leading to his arrest. When the car owner came out, he saw Anisoro inside his car and alerted the police. Although the key had opened many car boots and doors, it, however, had a clause. Once it has opened a door, the door would become faulty. The master or normal key wouldn’t be able to operate the door again. 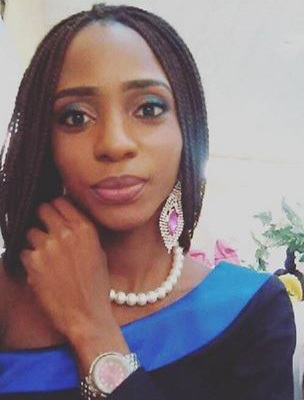 A police source said: “Anisoro specialises in opening vehicles with a master key. He got a rod and sharpened it into the shape of a key. His modus operandi is to watch motorists coming to Oyingbo Market. After the person parks, he would find out where the person is going. He monitors where the person is heading. He would go back to where the victim’s car is parked. “But before heading to the targeted car, he would carry two bags, filled with used papers. He would use the master key to open the car door, pretending to be the owner or driver. He would pick phones, money and other valuables. Anisoro confessed to the police that he targeted victims in the morning and evening. He usually steals phones, wallets and other valuables inside parked vehicles. According to him, he used to sell some of such stolen items at Computer Village, Ikeja. “There was a time he saw nylon inside a car at Ido, Oyingbo. The nylon was under the seat of a car he burgled. He found N150,000. He used the money to rent a house. He used the balance to buy tools for cobbling. He wanted to start cobbling which was his professional job,” the police source added. Anisoro, however, soon ran out of money. He decided to go for the last operation. The last operation was the one that landed him in police net. On the fateful day of his arrest, he had tailed a car owner who drove into Mainland Hotel, Oyingbo. Immediately the man stepped out of his car, Anisoro followed him closely. Anyone watching would think he was the man’s driver or came with the man. As the man walked into the hotel, Anisoro went him into the hotel reception.